I have spent years pondering which traits make a player the best at a game. Is there one archetype of the unbeatable player? Or are there many paths to victory? Do all competitive games require basically the same traits, or does it vary wildly between games? This is a big topic, beyond the scope of this book, but I’d like to touch on it. The book Built to Last asks a similar question about which traits make a company the best in its industry. If Built to Last merely compared all #1 companies, it would have discovered such similarities as “they all have employees and buildings.” In order to avoid “discovering buildings,” Built to Last compared the best company in a number of industries to the second best companies in those industries. The best and second best shared a lot of traits, but the real question is whether there is a set of traits shared by the #1s that the #2s don’t have. So I tried to determine what distinguishes the best players of a game from the pack of near competitors, the top ten. First, I identified a list of factors that I thought might be the most important ones, then looked at the best players of various games to see which factors really set the gold medallists ahead of the pack. This is all highly anecdotal and unscientific and slanted toward games I know about, so take it for what it’s worth, but I do believe that I’m on to something here. If you are on the outside of competitive games looking in, then every single one of these traits is important to strive for. But again, some of them don’t actually distinguish the good players from the great ones. For example, “familiarity with tournaments” is something that pretty much all expert players had as a prerequisite to even be considered top ten. And “deep knowledge of the game at hand” is definitely something that separates expert players from average ones, but in no game was the very best player the one with the deepest knowledge of the game. “Love of the game” is a close one to call. #1 players are probably more likely to genuinely love their game than other top ten players who merely “call in” their performances. Having a love of the game probably allows a #1 player to remain #1 for much longer than he otherwise could, but there are plenty of terrible players who also love their games, so while it’s important, it’s hardly a solid distinguishing factor. “Mental toughness” showed more promise. 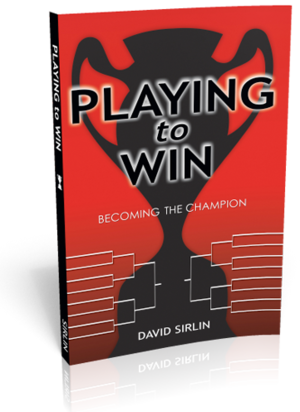 Almost by definition, the #1 player must possess a wealth of concentration and willpower that keeps him on track for the long hours of an organized competition. I’d like to emphasize how much easier said than done this really is. If anyone would be good at this, I’d think it would be me, yet I have often thought in the back of my mind how much easier it would be to lose the next round and be done, rather than to face the upcoming lineup of superstar players. That’s a horrible thing to ever think, and a lack of mental toughness probably does hold back some top ten players from becoming #1, but still there are even more important factors at work. This was a tricky one. At first glance, many of the #1 players had extremely poor attitudes. Many are unwilling to give opponents any credit or respect and are generally full of themselves. But they were not always this way. They tended to have a much better attitude during their climb to the top than when they actually got there. Apparently, power corrupts. Those who have always had poor attitudes find it difficult to truly break through, so this really is a distinguishing factor, even though at first glance you see poor attitudes across all ranks of players. Of course, you also see bad players with great attitudes. I would think that in theory “technical skill” would be one of the defining traits of a #1 player in a “mature” game (a game that’s been around long enough that it has a low rate of new discoveries about gameplay). In actual fact, this does not appear to be true. Having more ability at executing difficult techniques surely never hurt anyone, and the best players of games that require dexterity usually do have a wealth of it. But the absolute best players are not the ones with the absolute best dexterity and technique, so there are more important forces at work. “Adaptability” is a loaded term. First, let’s look at its opposite: Planning. Some players are highly concerned with knowing exactly how the game “system” works. They have deep knowledge of the game rules, the consequences of the rules, and the optimal situations they want to create. They have a plan. They will know that in a certain situation the opponent has, say, five reasonable responses. They will know the optimal counter that minimizes overall risk and maximizes overall reward. Perhaps the optimal counter ends up “even” versus responses 1 and 2, gives a small advantage versus 3 and 4, and a large advantage versus response 5. The Planner knows all the ins and outs of this situation, how to steer the game into it, and the “solution” to it. I once heard a player claim that he could beat anyone in a very particular character matchup in a particular fighting game. When asked why he was so confident, he said “because I know the algorithm.” “Knowing the algorithm” is something I have been known for and teased about for years. It’s the perfect motto of the Planner. But this quality is rarely seen in #1 players, which is somewhat surprising to me. I would think that players who have a deep knowledge of the game system and know the optimal responses to all guessing games are the players who would tend to come out on top. Perhaps the personality type of the Planner is so rare that it simply occupies a proportionately small number of the #1 spots in various games. Or perhaps, the entire approach is inferior to Adaptability. A great many players I asked listed Adaptability as one of the three most important traits of a #1 player, and I didn’t even list it as a choice to color their responses. Some even use it as their main measure of determining how good another player is: can the player adapt quickly to new situations? Oh, and if the Adaptive player were put into the situation described above (with the 5 possible enemy responses), then how would he react? He might not even need to know the totality of the situation. All he knows is that you will do response 5, and he’s not falling for it. Here is an anecdote about Adaptability. The “B3” tournament was a landmark in fighting game history. It marked the first meeting between virtually undefeated players John Choi and Alex Valle in the game Street Fighter Alpha 2. Each easily cut through the field, eventually to face each other in the finals. At this time, Alex Valle unleashed a new technique never seen before, something he had saved until this moment. I should note that “saving your good stuff” backfires 99 times out of 100, but this is one of those storybook situations almost too extreme to be true. Valle’s technique, which an untrained eye would probably not even notice, went on to become the single most powerful technique in the game, it changed the way the game was played, and it was immediately named “the Valle CC” after the man himself. The point is, this was no ordinary trick, but the most powerful, game-changing tactic the game would ever know. How did Choi fare in such unfamiliar waters? Many players would have lost the entire set without even realizing what Valle was doing. Choi may not have fully grasped what was going on, but he knew the rules were suddenly very different. Choi ultimately lost that match, but to leave it at that is an injustice. He changed his gameplay, got caught fewer and fewer times by the new trick, and even managed to do it back to Valle! Valle dominated several rounds, but his grasp slipped more and more as the games went on. The crowd was in utter awe that Choi could possibly even hang in there against such odds, much less slowly shift the momentum in his favor. The match went the full count of possible games: all the way to the last bit of health of both players in the 3rd and final round of the 14th and final game. By a razor’s edge, Choi lost. Yet even today, that match is cited as the most amazing display of Adaptability in fighting games. Planning would have been of little use to Choi in that match, yet Adaptability is seen by nearly all as a rare and distinguishing factor of the most elite players. And don’t let that story give you the wrong impression of Valle either. He richly deserves his status as a #1 player, and while he may not be a strong Planner, he has proven time and again his utter dominance in the realm of Adaptability. “Knowledge/ability in other games of the genre” is a somewhat unexpected trait for a #1 player to have. After all, if a player is really so good as to dominate a field of obsessed, bloodthirsty competitors, then how could he possibly have the time or energy to play other games at a high level, even other similar games? While not all gold medallist players show this trait, a surprising number of them do. I believe this is more of an effect than a cause of their greatness, though. It demonstrates that there is a heart to competitive gaming that lies beneath the details of a particular game. The best players are in tune with these underlying concepts, and carry them into any game they play. Furthermore, the #1 players tend to be highly Adaptive rather than Planners, so they don’t need deep understandings of a game system to do well at it. They can often just stumble into a similar game, learn the bare basics, and quickly adapt to avoiding the deadly tricks that more knowledgeable opponents rely on. “Yomi” and Adaptability often go hand-in-hand. A Planning-type player can exhibit good yomi skills by knowing a particular situation so well, that he knows all reasonable responses and their payoffs, so he can make a strong, educated guess about what you will do. But the Adaptive players are more likely to just “know what you will do” in the first place. It pains me to have to speak about yomi in such non-scientific terms, but it appears to be a mysterious, right brain function that is inherently hard to explain. One thing is for sure, though: the yomi abilities of top players are unmistakable. Perhaps it must be seen to be believed, but believe me: I’ve seen it over and over and over. Some players just “guess right” almost every time. I used to believe that yomi was the single most important factor in distinguishing #1 players from the rest of the pack. The reason is that it’s the one absolutely clear factor that #1 players have and their close competitors don’t. And I have never seen a player who consistently gets 8th place who has people gossiping about and fearing his yomi abilities. That honor rests squarely in the hands of the best, and only the best players. Some games are designed to reward yomi skills more than other games. Perhaps poker is one of them. But in the realm of fighting games, there is one game that requires, or at least rewards, yomi skills ten times more than any other fighting game: Virtua Fighter. This game has a very elaborate system of paper/rock/scissors (with unequal payoffs) going on. The high speed at which you must make these decisions makes yomi even more important than it otherwise would be, because it will all go by too fast for you to even enter a guess unless you have a very good idea of what the opponent will do. Virtua Fighter puts the player in a series of rapid-fire guessing games. The number of interactions—that is, the number of guessing games per second—is so high that masters of yomi shine above all others. The game offers the Planners a wealth of systems to understand as well, but I don’t think any Virtua Fighter player would disagree that yomi is the primary skill of unbeatable players in that game. Does Virtua Fighter merely demonstrate which players had the best yomi skills all along? Or does it develop yomi skills in all its players more than other games do? I’m not sure of the answer, but perhaps both are true. Consider the Japanese Thumb game. In this game, all players start by holding out both fists. One player starts the action by yelling “1, 2” (to get the other players ready) and then another number, which is his guess. Right after he yells “2” each player sticks up either 1 thumb, 2 thumbs, or no thumbs. The active player is trying to guess how many total thumbs (including his own) will be up. If he is wrong, the next player takes his turn. If he is right, he removes one of his hands from the game and takes another turn. The first player to remove both hands from the game wins. There is a special exception rule that if the active player guesses “0 thumbs” and he is correct, then he wins the game instantly. The Japanese Thumb game is pure yomi. I see no logical explanation for why one player would be any better at it than any other player. And yet in gatherings of fighting game players, the Virtua Fighter players always win this game. Yomi is an inexplicable, unseen force, but it is very real, and possessed by the very best of all players. “Appraisal” or “Valuation” is the ability to judge the relative value of different pieces, moves, tactics, or strategies in a game. This might be the most important skill in competitive games. If Yomi is understanding the opponent, then Appraisal is understanding the game itself. In some sense, this skill is, by definition, what all competitive games are about. Games are about making decisions, which of course makes them about knowing the relative values of the pieces and situations in question. Some claim that “Appraisal” is just too obvious and basic a thing to place on such a high pedestal. But when I looked at all the best players of the games I know, this skill tied it all together for me. The best players are usually doing somewhat weird things that most players don’t understand. I picture a bell curve of “valuations” that players have about their game. What I mean is that there is a large number of players in the middle of that curve who share common beliefs about what is good and effective, and what is not. They represent the “conventional wisdom” about the game. But there are a few players at the extreme end of the bell curve who have different views on what is good. In their world, some of the commonly known tactics don’t work on elite players, so they are worthless. Some moves or tactics are seen as worthless to most, but the elite player has a very specialized or refined use of them that makes them highly effective. Basically, because these players are on a higher level of understanding about the game—either with an explicit, logical analysis or through inexplicable intuition—they see the game through different eyes and see different relative values. Sometimes the conventional wisdom is just wrong about a game, and only the best players are able to step out of the mold and not be bogged down by how the masses incorrectly think the game should be played. And these elite players very often cannot explain in full, logical, step-by-step detail exactly why they value one thing so much more than another. I think the mental process for arriving at these valuations and the process for fully explaining them to others are very different things. You are better off watching what the masters do than asking them why they do it. The moment all this crystallized for me was when I was thinking about taking up a new game. I knew a player who knew quite a bit about this game and was at least fairly good at it. It seemed natural for me to ask for his advice on how to learn the game. And yet, I hesitated to do so. I thought at first it was some deficiency of my own, perhaps an irrational fear of losing to him that made me shy away. But then the real reason occurred to me: I did not trust his Valuation skills. It’s not that I knew anything about this game that would contradict what he thought (I knew almost nothing), but I knew his personality and his style and performance in other games. He always has a clear, well-articulated argument about why a certain tactic or character or whatever is good and why another is bad. It’s usually hard to refute his views in a debate, as he has facts and reasoning behind them. And yet, they so often prove incorrect once tournament play reveals which characters and tactics are actually good. And then I realized that all my #1 players displayed unusually good Appraisal skills in some way. In fighting games, they often tended to play characters that others didn’t think were good, or characters no one else could play well. These players are just a little out in left field with what they’re doing, because only they know what really is good to be doing in the first place. Many of them were not “innovators” since they didn’t personally discover these weird things, but they all were able to recognize a good thing when they saw it, more readily than their peers. The reason I now put Appraisal even higher than yomi on my list of traits for the gold medallist is mainly that in most games, there are only so many opportunities to yomi, but almost everything you do in the entire game is some measure of your Appraisal skills. I should make another distinction in Appraisal, breaking it into two categories, because it applies to both the Planner and the Adaptor. Consider the example of chess. The “conventional wisdom” of the game ranks the value of pieces according this scale: pawn 1 point, knight and bishop 3 points, rook 5 points, queen 9 points, and king infinite points. But how true is the conventional wisdom? Maybe, when all is said and done, bishops really are worth a bit more than knights. Or even more to the point, how much are pawns really worth? One of the great advances in chess theory was the realization that chess is really all about the pawns. Open versus closed pawn structures lead to very different types of games. Pawns are the soul of chess. So this type of Appraisal comes from deeply understanding the system of a game and realizing which forces are more important than others in determining the outcome. Often, a Planner-type player is thinking in these terms. The other type of Appraisal is of a much more specific nature. Rather than caring about which general principles are more correct, the player is adept at judging the relative value of moves in a particular game situation. Yes, bishops are generally worth the same as knights, but in this particular board situation, perhaps the bishop is worth everything and the knight is worthless. A player good at this type of Appraisal does not necessarily have a good grasp of the underlying game system or the theories about the game’s strategy, but he knows exactly what is good and what is not, right here and now given a specific, complicated game position. Just as Virtua Fighter is an unusually good test of yomi skills, Magic: The Gathering is an unusually good test of Appraisal skills. It is a card game with thousands and thousands of cards, where the player must build a deck of only 60 cards (or 40, depending on the tournament format). There are cards that are bad, but seem good. There are cards that are good, but seem bad. There are cards that are strictly better than other cards in most situations, but far worse in very specific situations. There are cards that are incredibly good, but no good deck can be built around them. There are cards that are bad, but are used in the very best deck because the rest of the deck is utterly dominating and desperately needs a certain ability, even if the best available source of that ability is on an otherwise terrible card. Perhaps the hardest lesson to learn, the lesson that every Magic player seems to have to learn over and over, is that there are great cards that come together to make great decks that ultimately do not win because they aren’t as good as something else that’s out there. It’s easy to get excited when you see a great deck come together, but the “great deck” does not exist in a vacuum. Very often, there is some completely different deck that’s trying to do completely different things, and that other deck is ultimately stronger than yours. It’s not that yours is bad per se, but the opportunity cost of not playing the even better deck is just too high. It’s all about the relative value of the decks, not their absolute measures. Even when you’ve learned that lesson and have found the actual “best deck” to play in a given card pool, you still might be foolish to play it. You also have to judge the “meta-game,” which is the landscape of deck choices all your competitors have made at a given tournament. Perhaps they all know about this “best deck” and have all decided to play decks that do nothing at all but beat that deck. Sometimes, the “best deck” can still win even when subjected to extreme hate, so again it’s all about judging the relative value of the pieces. The so-called “limited” formats of Magic (including sealed deck and draft formats) require you to make choices on the fly about the relative value of cards that you will put into your deck. In limited formats, it’s more difficult to rely on the conventional wisdom of which decks are good, so some players value these formats even more highly because they test Valuation skills more. Magic is an interesting case, because some players argue that the game is too random, yet the same few players are able to consistently win tournaments. Currently, Germany’s Kai Budde is the #1 Magic player in the world, and I believe the main factor is that his Appraisal skills are that much better than everyone else’s, especially the second type of Appraisal, the moment-to-moment type. Everyone knows that Wild Mongrel is a great Magic card and that Merfolk Looter is a good card. Which is more valuable in general? Such things are debated endlessly on forums and chat rooms about the game. More importantly, though, which one is more valuable in a specific game situation? When you factor in the life totals of each player, the time left on the clock, the number of cards in each player’s hand, the quality of those cards (some might be useless, “dead” cards), the other cards in play already, etc., you’ll find that it all depends on the exact situation. So who knows if it’s a good idea to make a move that kills your Wild Mongrel and their Merfolk Looter, given a specific, highly complicated game situation? I’ll tell you who knows: Kai Budde knows.